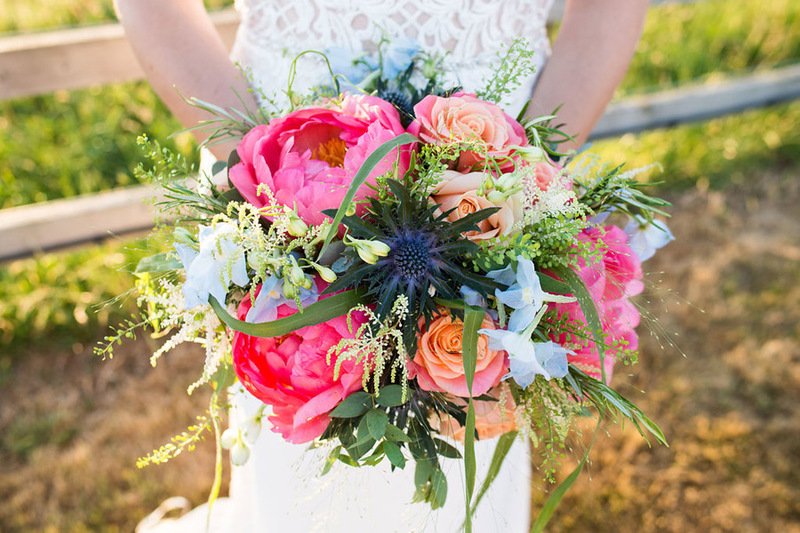 It’s ALL about the florals today – gorgeous bride Katie and hubby Paul married in the summertime and chose all the glorious garden flowers – the stars are bright pink peonies, which nestle beautifully alongside roses and delphiniums, thistles and oodles of delicate greenery. The stunning images of their wedding are by our lovely friend and English Wedding member Nicola Norton Photography. We knew we wanted a relaxed venue preferably in a barn so did a lot of googling. 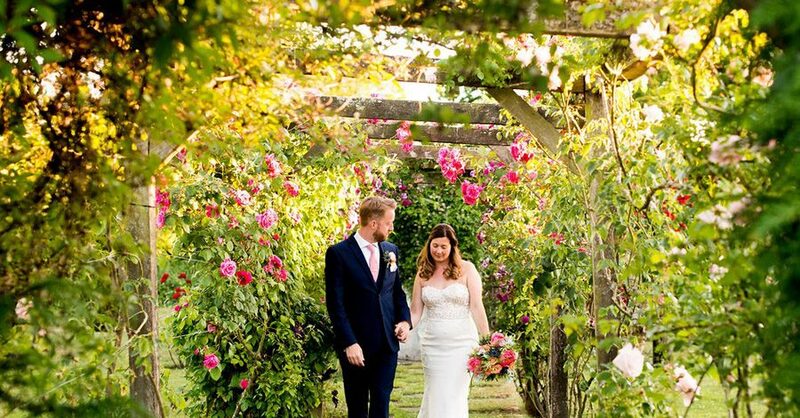 As soon as we visited Micklefield Hall we were blown away by the setting and how beautiful it was so knew it was the right place for our wedding.